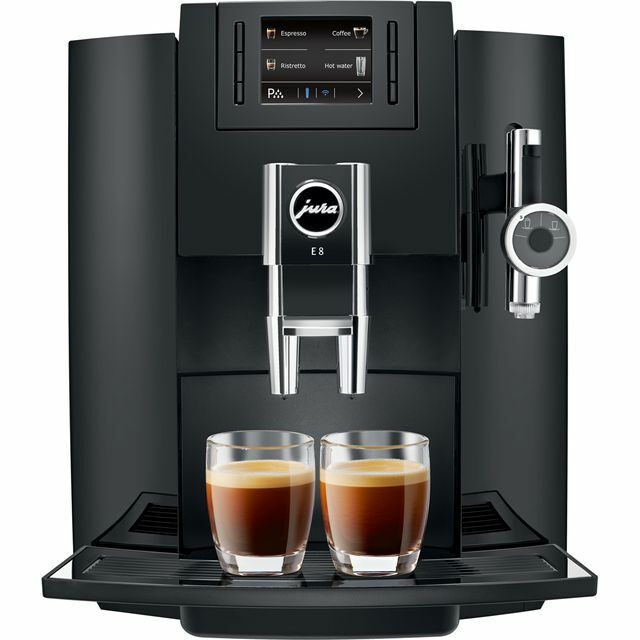 With this black Jura bean to cup machine, you can enjoy barista-style drinks without traipsing to the coffee shop. Because it has 15 pre-programmed coffees, including creamy cappuccinos and fluffy macchiatos, you’ll be truly spoilt for choice. There’s a height-adjustable spout too, which moves up and down, so you can even use your favourite mug. If you’re craving an espresso, the Pulp Extraction Process optimises extraction for an incredible aroma. Plus, you can even control the machine from a compatible smartphone via Bluetooth, so your coffee will be ready just as you roll out of bed. It also has an auto clean function that flushes away any residue between uses, keeping it in the best condition.